Free Purefoods Fiesta Ham 800g for a minimum spend of P5,000 at Walter Mart Supermarket. 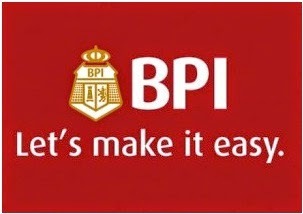 Open exclusively to all existing BPI Credit cardholders (Classic, Blue MasterCard, Gold MasterCard, Petron-BPI MasterCard, BPI WorldPerks MasterCard, BPI SkyMiles MasterCard, Edge MasterCard, Corporate Classic, Corporate MasterCard and BPI Family Credit Card) of good credit standing. Promo Period is from November 2 to 30, 2014 only. Cardholder should use any BPI Credit Card for a minimum single receipt of P5,000 at any Walter Mart Supermarket branch to redeem one (1) FREE Purefoods Fiesta Ham 800g. Transaction date must be within the promo period. Charge slip will be collected by the customer service representative upon release of the free item/s. Cardholders without original charge slip/s or with charge slip/s that are faded and unreadable will not be allowed to redeem. Cardholders can redeem free premium only at Walter Mart Supermarket where transaction was made. Cardholders cannot exchange premium item once availed. The FREE Purefoods Fiesta Ham cannot be exchanged for cash, other products, or discounts. Only one redemption per qualified charge slip/ transaction slip is allowed. Cardholder is allowed maximum of three (3) redemptions per day per store only. However, each charge slip must be transacted in different dates to avail of the maximum allowable redemptions. A single purchase transaction requires only one approval. Splitting into smaller transaction to avail of promo is not allowed. Cardholder will be allowed to make an approved transaction only once per day. For multiple charge slip generate from a single branch made within the same day, only one qualified charge slip will be accepted for redemption per cardholder even if he has more than one qualified charge slip. Walter Mart Supermarket reserves the right to refuse acceptance of multiple charge slip redemption if found disputing with mechanics. Redemption period is until January 30, 2015 only. The promo is not valid in conjunction with any other ongoing promo at Walter Mart Supermarket branches unless otherwise indicated. BICUTAN | MAKILING | CABUYAO | NORTH EDSA | CALAMBA | PLARIDEL | CARMONA | QUEZON CITY | DASMARINAS | SAN FERNANDO | GAPAN | STA CRUZ | GEN TRIAS | STA MARIA | GUIGUINTO | STA ROSA | IMUS | SUCAT | LOS BANOS | TANAUAN | MAKATI | TRECE MARTIRES. for complete promo mechanics and upcoming programs. Metrobank CASH2GO: An investment that pays back many times over! You Should Knows. Theme images by digi_guru. Powered by Blogger.